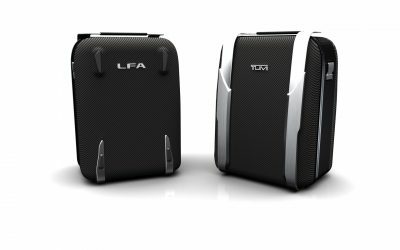 The unique line of Tumi cases for the LFA supercar has a hybrid construction, and is styled using components that are directly related to the appearance of the car. Never before have a hard shell, aluminum and carbon fiber-like material, been used in this manner to execute special cases. The custom sizes enable the pieces to be easily packed and lifted from the cargo area. Each case is designed with a distinct purpose. 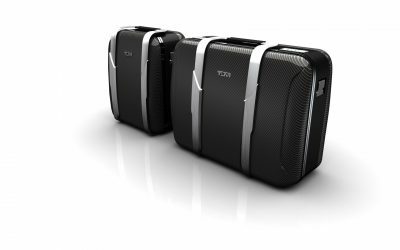 The smaller “concourse” piece is proportioned to fit the essentials for track racing, including gloves and shoes, or items for a quick getaway. 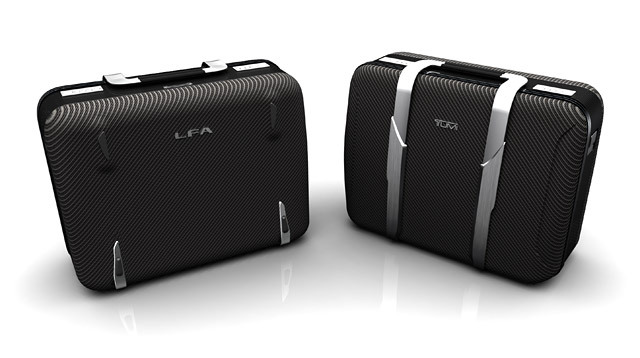 The larger “coastal” case is for longer trips when a change of clothes is required. 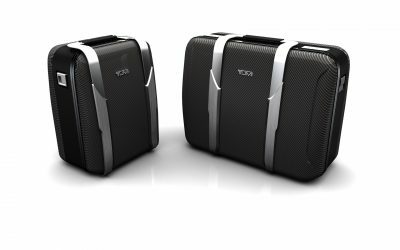 Each piece has an asymmetrical retractable handle and shoulder strap as well as non-skid feet, which hold the luggage in place while the car is in motion. 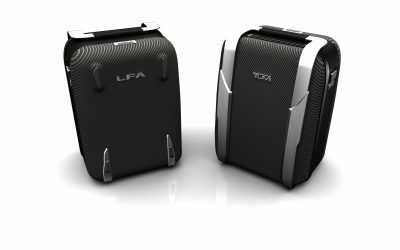 The luggage will accompany the LFA in select markets, including the US and Europe, and will be inscribed with the vehicle’s VIN — a nice touch that links the luggage and supercar together. WorldofLuxury: I like these sort of accessories.